PRP is another successful way to treat some ligament injuries. 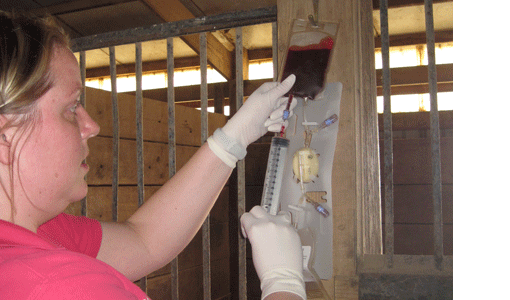 Platelets are harvested stall side from a blood sample from the injured horse, using a special filtration system. After they are harvested they are injected directly into the affected area to help expedite the healing process.